Nine thousand new homes were built for the original estate. The LCC had to create houses that were attractive enough to lure customers from the private market and yet build as economically and durably as possible. 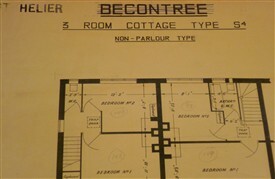 Building standards had to be strictly adhered to and the plans had already been tried out on the earlier Becontree estate. Monotony in the seemingly endless terraces was avoided by the use of different coloured bricks, roof tiles and porches. There are also instances of simple brick embellishments and some houses have bow windows. Over the years, most houses have acquired new doors and windows. Those houses which have become privately owned show many design changes. Although everyone likes to express their individuality, many residents feel that the loss of uniformity does not help the appearance of the estate. When I moved onto the estate in 1992 my house had the original Georgian style windows. When I had new windows put in I was adamant that I wanted to keep the look of the old windows, even if I now had double glazed ones, and so had a Georgian style put in with exactly the same amount of little panes in each window as the original. I think it is sad to see so many of the houses on the estate with windows that have no resemblance to the original ones at all which has taken away a lot of the character of the houses I feel. Each area had a slightly different style: I could have identified by a photo which one my parents bought ours, when the GLC offered, for £2500, in 1968, and immediately changed its appearance. I returned some 15 years ago. It's now unrecognisable as ours or as it was originally done. A right mess. There should have been more restrictions as to what we could do. It has spoiled the best part - something we couldn't see when we lived there. Now many of the wooded areas and open greens have gone- more, and different houses built on them, it's now a dogs dinner!! Very sad. It was a great place to grow up, but I couldn't wait to leave! (like most teenagers I guess) Anyone remember the few (derelict) prefabs off Bishopsford road? near the running track? I spent my early life living in Tintern Road and attending the Tweedale School. I recall how neat and orderly the estate was. Its uniformity was an asset. Most houses were pleasant, if modest, and were set behind privet hedges. 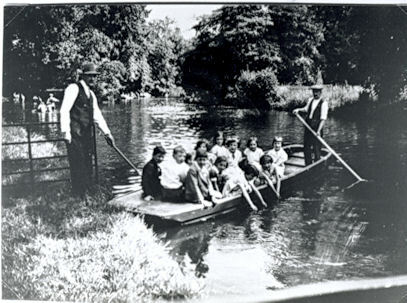 There were few cars on the roads, permitting children to play quite safely. The 'Councils' at the road intersections were also fine places to play, and added positively to the visual qualities of the estate. Today when I visit I am greatly saddened. Most of the houses have been sold to tenants and have deteriorated in quality. Many are in a poor state of repair and the work that has been done to them has destroyed the symmetry and appeal of the area. Often front gardens have been used to cram in a couple of parking spaces and the roads are choked with cars. The 'council' areas have of course long gone being absorbed in earlier times into neighbouring gardens, no doubt to save on maintenance costs. Overall the estate today is a very poor visual spectacle compared to the time in the 1950s and 1960's when it was occupied by rent paying residents who shared similar backgrounds, shared standards and aspirations. I agree entirely with these comments. I paid a visit a few years back and was saddened by the changes to the houses. 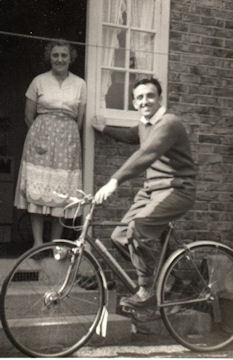 I lived in Glastonbury road from 1937 untill 1960 when I got married and moved away. I know the old places were basic but they had some character with the Georgian type windows, small front gardens with privet hedges and then a few doors down they changed the design by putting on a porch with some trellis up the sides and then some had doors on the side elevation. Very few cars to be seen in the war years and just after. In fact I remember on Guy Fawkes night we used to have a bonfire in the middle of our road. Glastonbury Road was even better because being the last road on the estate going towards Sutton, we had a railway embankment at the back of the garden, with massive Elm trees (sadly lost in the Dutch elm disease) at the bottom and the trains run by every twenty minutes. 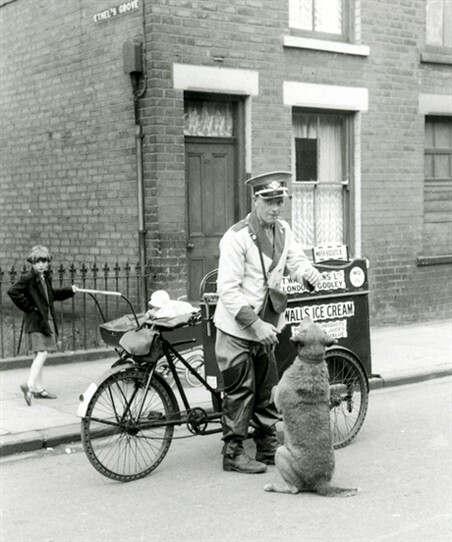 Another thing I remember was playing knock down ginger with a difference, we used to tie cotton to several door knockers at one time, all harmless fun! Hi Sue, yes I remember those prefabs there was a green in the middle and they held races there for the coronation. I lived almost opposite the running track in Robertsbridge Road.I agree it was a great place to grow up and sad how many people thought we were dreadful people coming from a common council estate. Isn't it nice to see the only people commenting on this are people that used to live on the estate and now slag it off. I live on the estate in an ex council house which I now own, I like the estate, I did not grow up on the estate but moved here when I met my wife (to be) its not the tidiest place but it is a damn site better than a lot of other places. My house looks nice and is kept up well and I make sure it is always tidy inside and out. Adding car parking in the front gardens is a necessity as it is everywhere nowadays due to the lack of car park spaces and number of cars. Hi Pam, my nan and grandad, the Gaineys along with at least 6 various aunts and uncles lived at Robertsbridge Road for probably 40 plus years right opposite the running track, I remember when it was actually a huge allotment area prior to the running track. Those prefabs were quite an eye opener inside as they came equipped with a fridge as standard from new.We lived in Wigmore Rd and didn't get a fridge until 1962! I've recently seen a photo on this site of me as a 5 year old at the street party on coronation day at Robertsbridge Road, nostalgia's alive and kickin'. 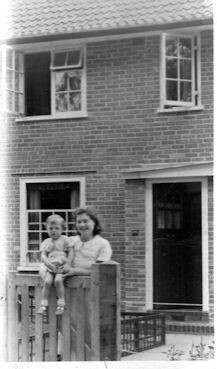 I moved to St Helier Estate when I was eleven years old in 1969 and mum still lives in the same house in Morden. Dad had right to buy And that's what they did. I now live in Reigate but go back once a week to visit mum and still have many friends there. Have tried to get mum to move as now 80 but not having it and I can see why. Has her memories in that house and when I visit feels like dad looking after her as it was their first house after living in flat for many years. My Nan and Grandad lived at 183 Robertsbridge road with my dad in the 1930s. I remember the field opposite as a child.